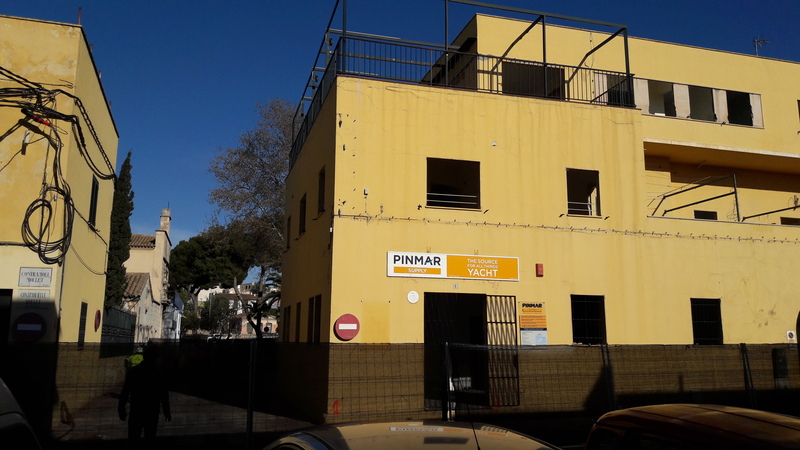 The Port Authority of the Balearic Islands (APB) is to launch a tender process for remodelling ideas for the Contramuelle-Mollet area at the Port of Palma. The aim of this tender is to select a proposal for the redesign of this port area, following the dynamic initiative already underway by the APB to integrate the port into the city for the benefit of locals and tourists. 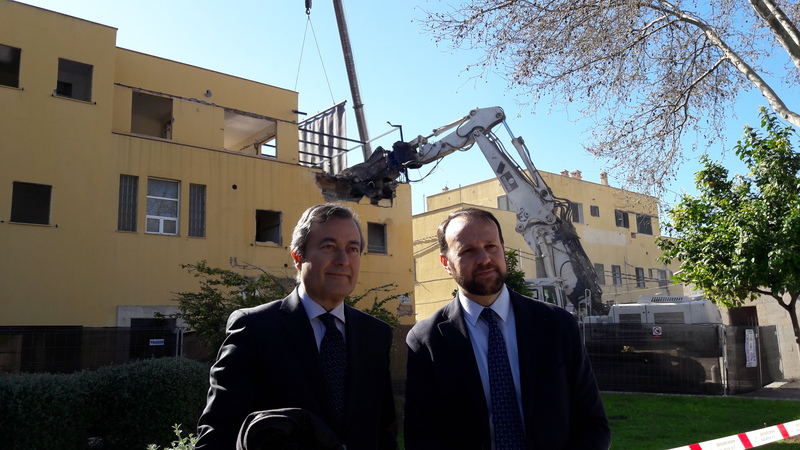 Joan Gual de Torrella, the president of the APB, announced the call for tenders as the demolition works on two buildings located in the Contramuelle-Mollet area at the Port of Palma got under way. This action will help to free up space in the area and to provide the port with open public spaces, following the ‘Port-City’ model sought by many renowned cities. It is also a model that the APB puts into practice at all of the ports of general interest that it manages. 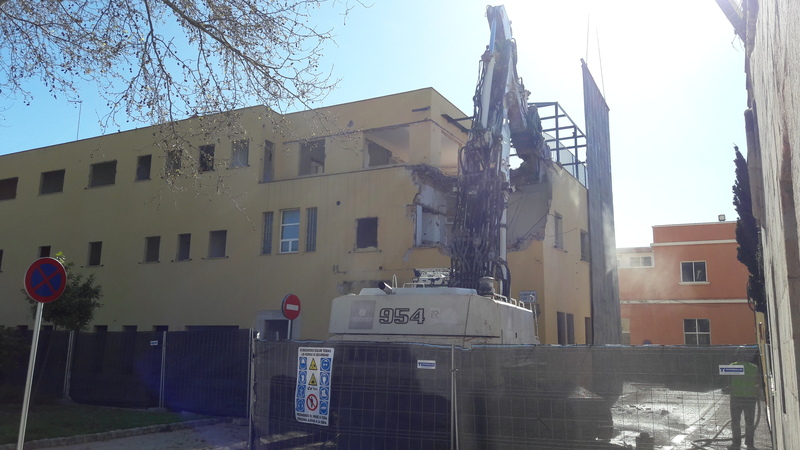 Today, the company Construcciones y Desmontes Ribera Navarra S.A. began tearing down the two buildings using demolition shears. 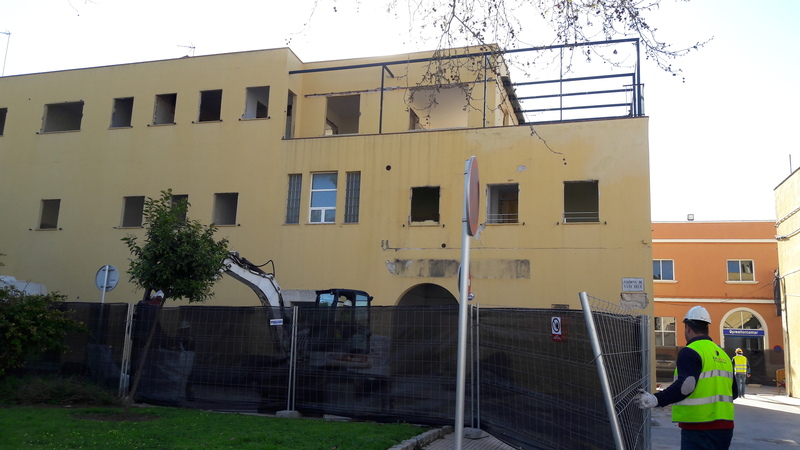 The works, which will last 4 months, have a budget of 328,000 euros. 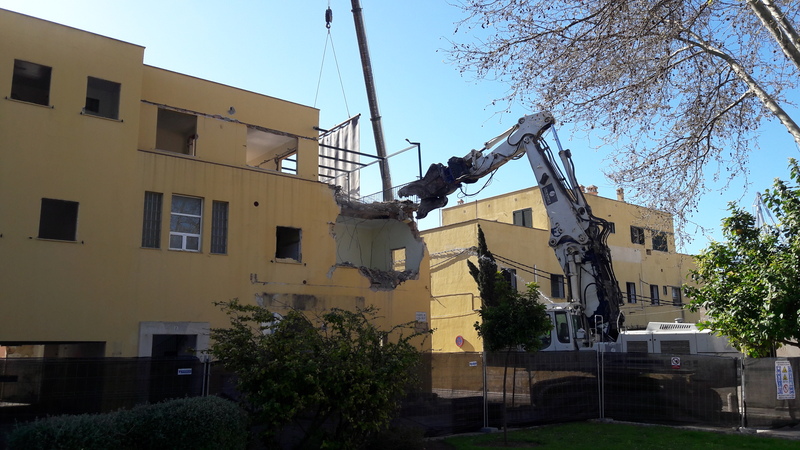 During the demolition process, the debris material will be separated for recycling and the construction material will be reused as filling at the Port of Palma. Measures have been taken to mitigate the situation of the suspended dust caused by the works. These measures include the installation of a large containment curtain and the use of water sprayed with hoses. Traffic will be controlled while the works are ongoing in order to reduce as much as possible any inconvenience for port users. The call for ideas covers the expansion of green areas by removing buildings in favour of open spaces. The fishing zone will remain during the reorganisation process. Conversely, the Astilleros de Mallorca concession will be transferred to another location at the Port of Palma. The requirement that projects must consider the possible location of a future marine museum in the industrial space is among the tender requirements. The urban area to develop stretches from the Pesquero bar to the mouth of Sa Riera. 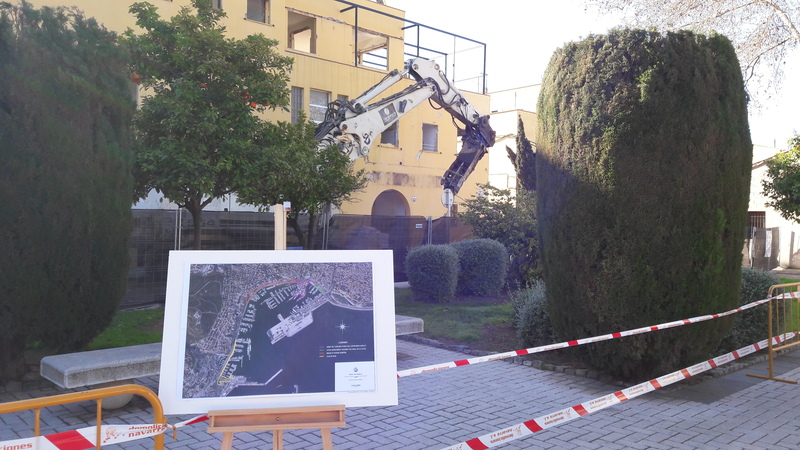 The aim of this action is to boost, on the one hand, the project that the APB has already put out to tender corresponding to the car park at the Lonja Dock and, on the other, the Seafront promenade remodelling project, promoted by the Council of Palma in collaboration with the Port Authority. Furthermore, in the project, it must be taken into consideration that the Club de Mar concession will be undertaken at the end of the Seafront promenade. “It entails a radical change in the port area,” said Gual, who explained that the demolition is just the beginning of what will be a full reorganisation of the Seafront promenade. He also said: “citizens will enjoy the best space Palma has to offer, from the Viejo Dock to Portopí,” not forgetting the old town and the cathedral.